Signs apparently posted in the retailer's Seattle store explain that the newly taxed items are also available at Costco locations in Tukwila and Shoreline. 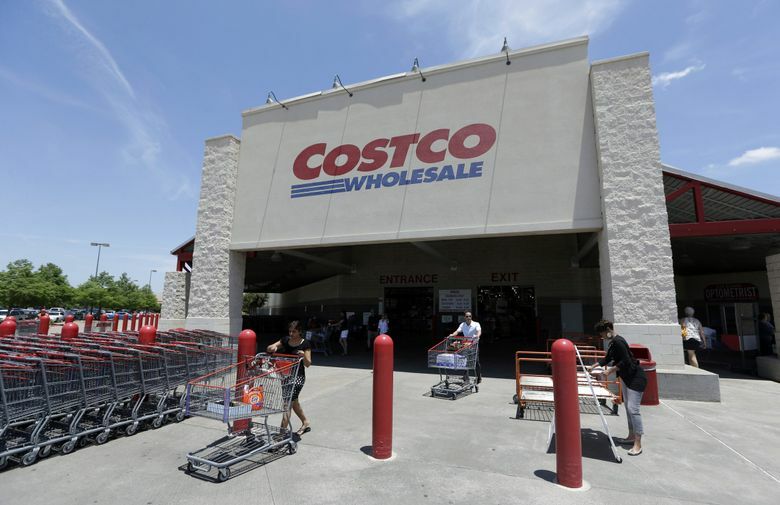 Costco Wholesale has some alternatives at the ready if shoppers feel sticker shock from Seattle’s new tax on sugary beverages. Essentially, consider shopping outside Seattle. Signs apparently posted in the retailer’s Seattle store explain that the newly taxed items are also available at Costco locations in Tukwila and Shoreline. A notice, spotted by the Washington Policy Center advocacy group, appears alongside a pack of Gatorade that received a bit of internet fame this week as people passed on the image of the tax markup. Costco priced the 35-unit case at $15.99. Seattle’s new 1.75 cents-an-ounce tax, when applied against that nearly 600 ounces of the Pepsi-owned brand of sports drink, comes to $10.34, for a grand total of $26.33. The Washington Policy Center joined store owners and beverage industry unions in opposing the tax. Proponents said the new levy is aimed at discouraging consumption of sugary drinks, which have been linked to a range of health problems.